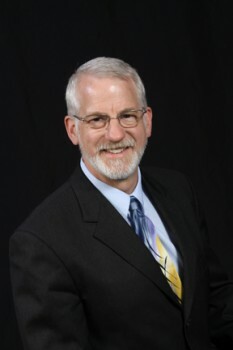 MILLIGAN COLLEGE, TN (Nov. 26, 2013) — Dr. Michael Sweeney, president of Emmanuel Christian Seminary, will speak at Milligan College on Thursday, Dec. 5, at 11 a.m. in the Mary B. Martin Auditorium of Seeger Memorial Chapel. The event is free and open to the public. His sermon, titled “The Forgotten Christmas Text,” is base d on Galatians 4:4-7. Sweeney has served as Emmanuel’s fifth President since June of 2009. He grew up in Colorado and earned his undergraduate degree from Northwest Christian University. He came to Emmanuel as a student in 1982 with his wife, Linda, and graduated with his M.Div. in 1985. He received his Ph.D. in biblical studies from Union Theological Seminary in Virginia and pursued further graduate studies in linguistics at the University of Texas in Arlington. For several years, Sweeney served as the primary translator in the Mum translation project for Pioneer Bible Translators in Papua New Guinea. He worked closely with the Summer Institute of Linguistics in Papua New Guinea, and served as an Honorary Translation Advisor with the United Bible Societies and the Bible Society of Papua New Guinea. In 2006, Sweeney joined the faculty at Emmanuel as assistant professor of world mission and New Testament, until he assumed the new role of president. Posted by Milligan College on November 26, 2013.